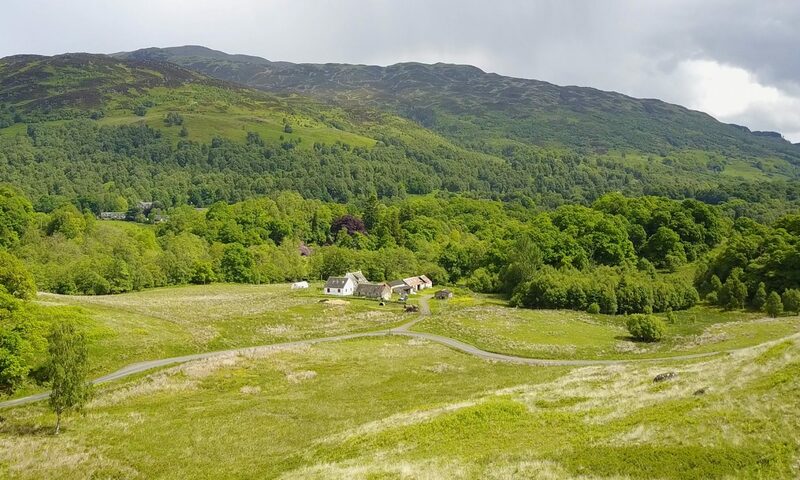 Achray Farm is a smallholding in Brig o’Turk in the heart of the Trossachs. Our sustainable permaculture and low-input methods produce supplies with provenance and love. We currently have a small polytunnel and market garden, a large selection of hens, ducks and two goats. The farm sits on the Great Trossachs Path and visitors are welcome anytime as we have a literal ‘open gate’ policy. Dogs on leads please and sustainable transport preferred (please walk from the Byre Inn or access from the Three Lochs Forest Drive). In 2018 we completed our first transformation with the implementation of our biomass heating system and opening of the Old Farmhouse as holiday accommodation. For more details see our AirBnB listing.